This entry was posted in Quilts and tagged antique quilt top, hand quilting, log cabin quilt, Quilts, vintage quilt top, wool batting. The Dawn piqued my interest. You did a post on dye catchers. Do you think the Dawn really works? Great job btw. 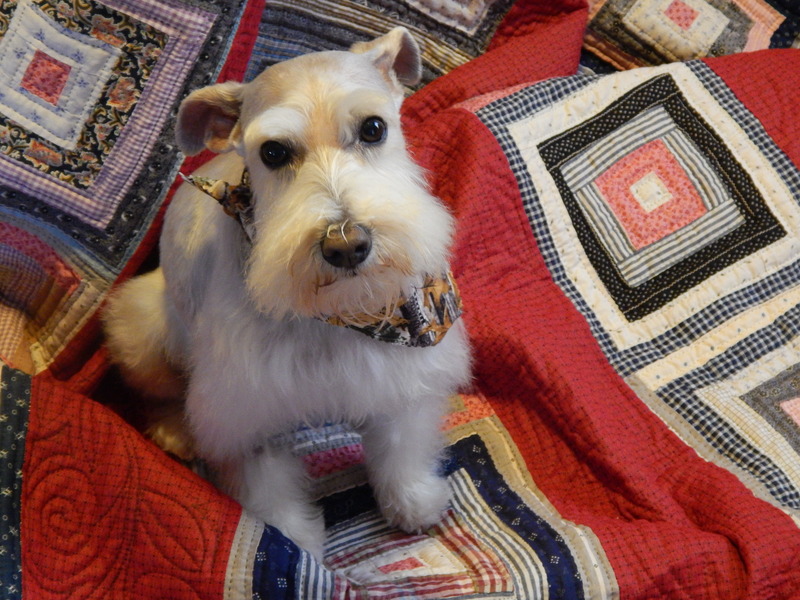 Teddy looks so sweet sitting on the quilts you quilt. He is such a good adviser. Keep up the wonderful work. 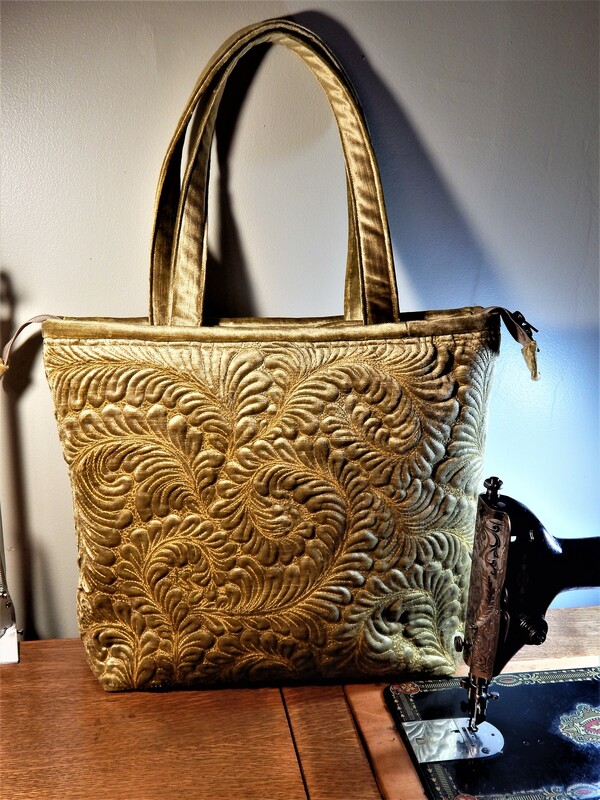 The quilting really makes this ! I think if I were the original owner that I would be so very proud to see what you’ve done to finish the work started and not finished before now. Did I miss something? What new light? I do love to see old quilts resurrected. The quilting pattern on this is lovely, too, the last picture with Teddy shows it quite well. Did you mark it with your washable Crayola markers, or was it the faithful mechanical pencil? You did a great job making the quilt lay flat. Congrats on another finish! I like the red between the blocks. It’s a beautiful quilt. Teddy makes it look even better 😊. Having good light is very important especially if you wear glasses. I’m seeming to be having a bit of issue with my vision of late. Just got new lens in April. May have to go back for another look see. You are really getting your UFO’S done. I’m trying to get all of mine finished too, before Christmas. I hope I can get a few more done before Christmas! 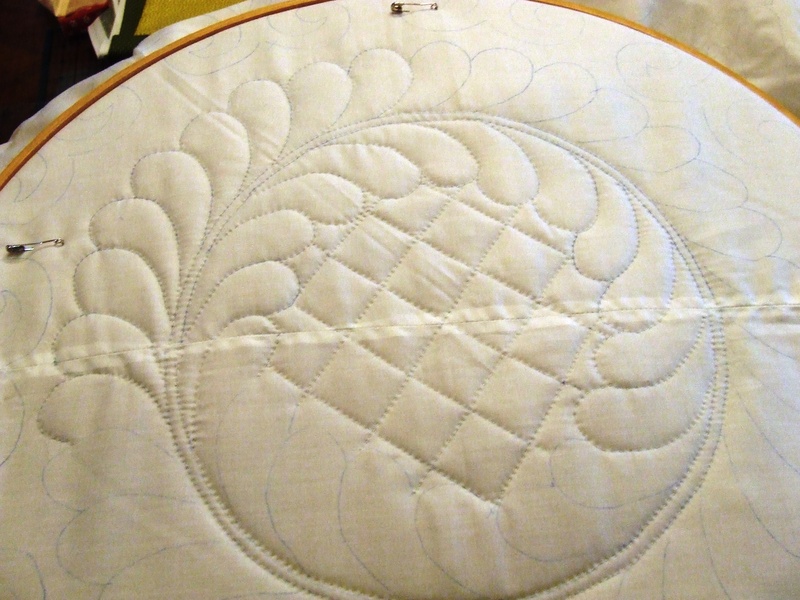 The leaf quilting design looks great on this quilt. Congratulations on another great finish. Lovely work! 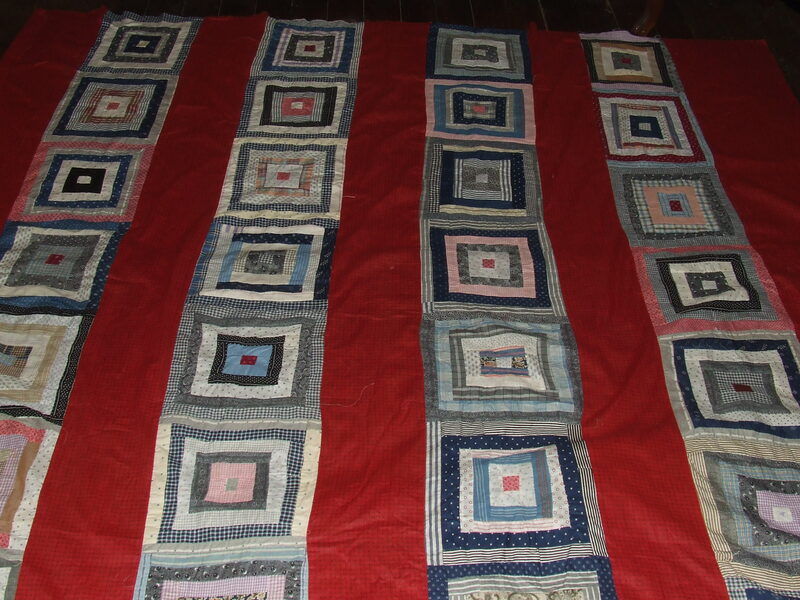 Hard to believe this quilt was made c. 1900! It would fit right in with all the modern ones being done these days! As I’ve said before… you are such an inspiration and I’ve learned so much from your tips! Definitely gonna try the Dawn dish soap. Love the quilt and especially the photo of Teddy on the quilt. Great job Tim! Tim, I love the look of this quilt; it combines and honors the heritage of the piecing and fabrics and your contemporary quilting design and execution and ends up looking beyond time. I love this quilt. And it’s happy too. Next stop Paducah hall of fame. Teddy might help keep the viewing lines in check (for the quilt and for him). Hey, Tim, Have you seen this 1/2-hour 1979 documentary called “Kathleen Ware, Quiltmaker”? 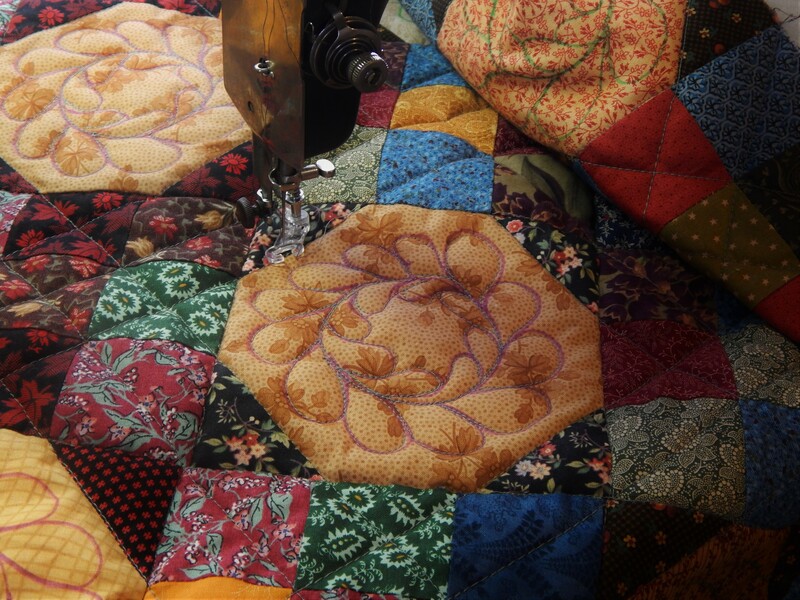 http://www.folkstreams.net I think you’d like seeing the traditional methods she used to make quilts…on a sewing machine like one of yours! 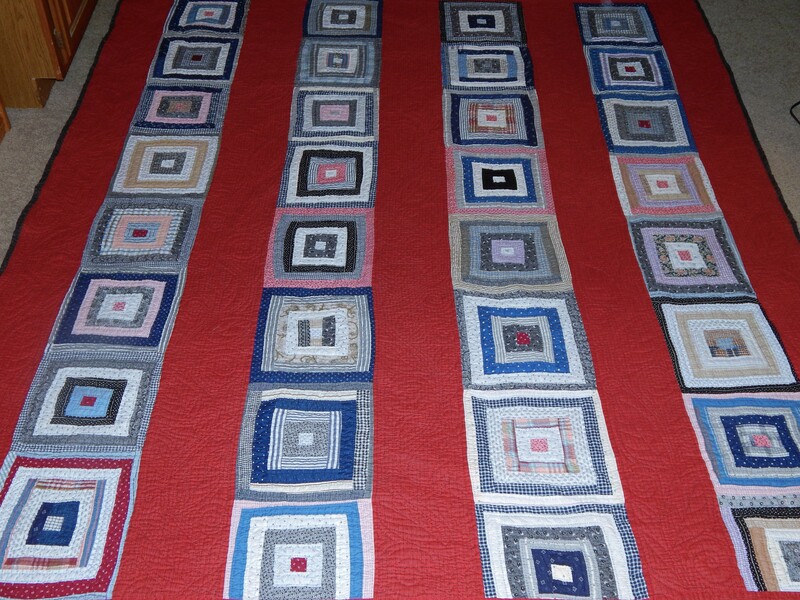 I thought that it might appeal to your interest in vintage quilts and their makers. it is fun to watch….she sure makes it look like she has made a bunch of them…. This quilt is lovely. I never heard of adding Dawn to wash with. Thanks for the tip. Will try. Teddy is looking as handsome as usual. I was positive I left a message on here yesterday, but somehow it disappeared! LOVE this quilt so much. 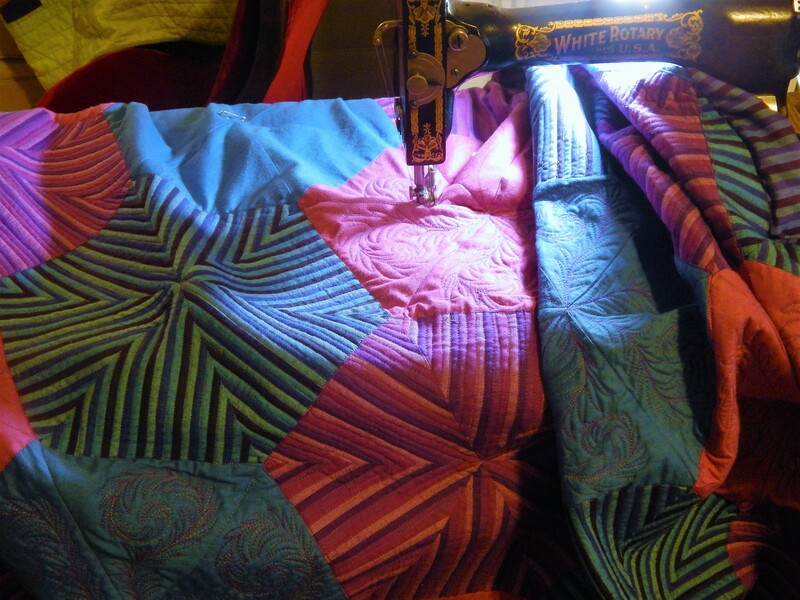 I’ve been amazed at how much the stitching has added that special something to make this quilt really shine. The combination of leaves and flowers is just incredible! !